Hear the little bubbles fizzing? Hear the children sighing? 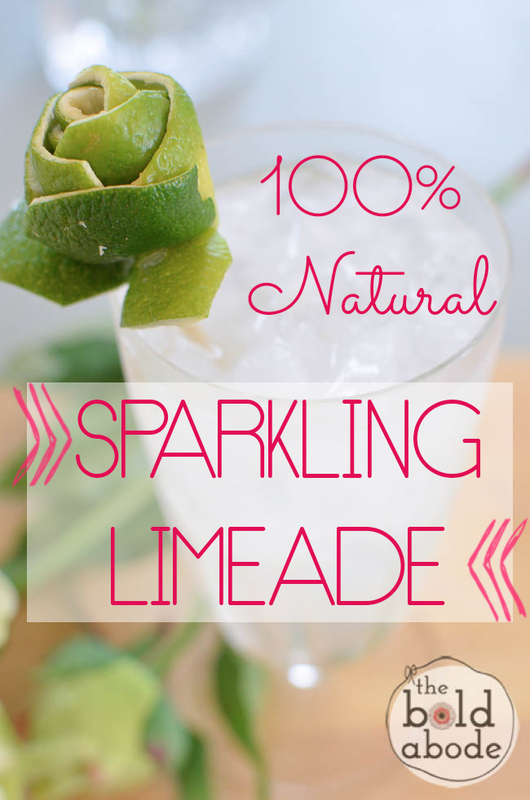 Get ready, because you will when you make this refreshing, 100% Natural Sparkling Limeade. Just what the summer fairies ordered. First, take your limes and juice them. I peel them and pop them in my Breville Juicer. Now let’s chat a bit about this juicer. This is a pretty heavy-duty one. I bought about a year ago because I decided to go on a 10 day juice fast and wanted to make sure I had a work horse. This isn’t the most expensive one, but I’ve been very, VERY happy with it. Now, you do have to clean them, but I don’t mind it. If you don’t have or aren’t interested in buying a juicer, just juice the limes by hand. That works too! 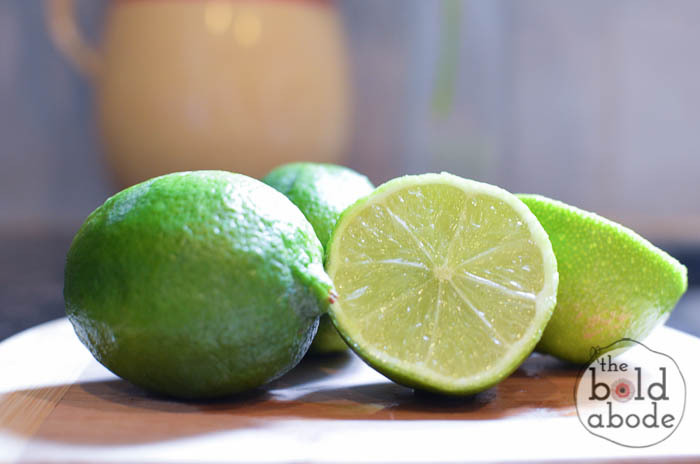 After you have your limes juiced, measure your Stevia in a glass measuring cup. 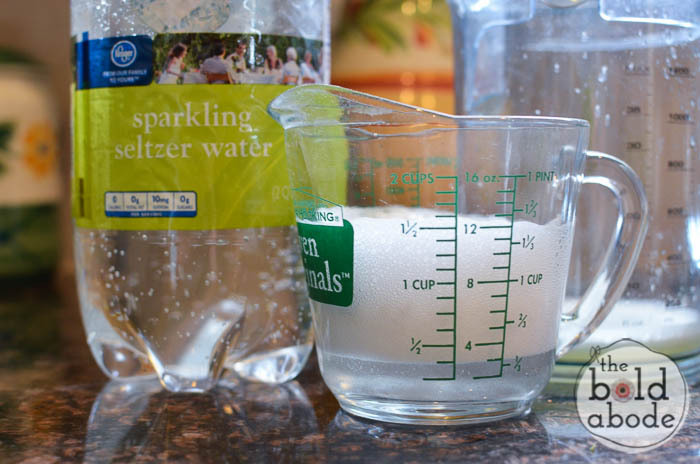 Pour just a bit of sparkling water into the stevia and dissolve it. As you can plainly see, it will bubble up! My boys love watching this part. It’s like a fun science experiment every time. 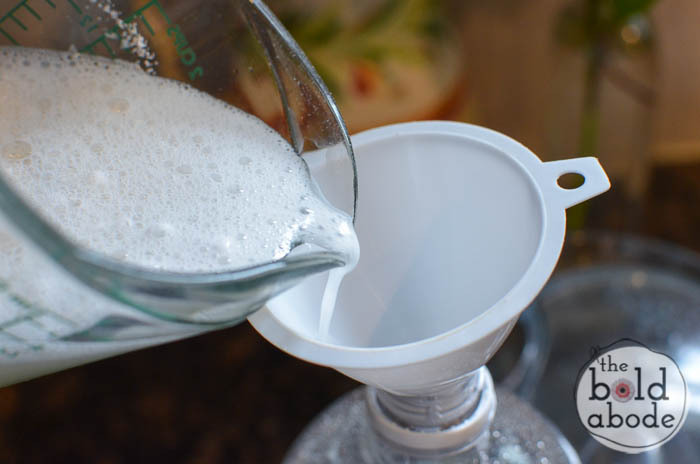 Once the Stevia is dissolved, place a funnel in the mouth of the 2 Liter and slowly pour in the Stevia mixture. I say slowly, because the bubbles might take you by surprise. If you are using real sugar or other sweetener, you won’t have this problem. But then, you’ll miss out on the fun. hehe. Once all the Stevia mixture is in the 2 Liter, carefully pour in 1/2 of the lime juice. 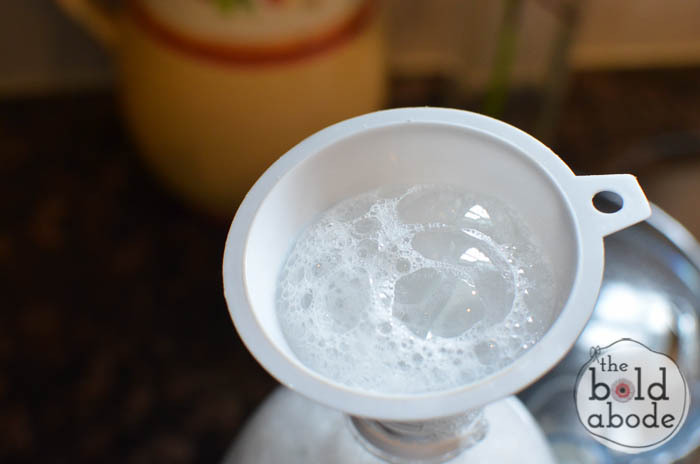 Then close the lid and GENTLY turn the bottle upside down a couple of times. 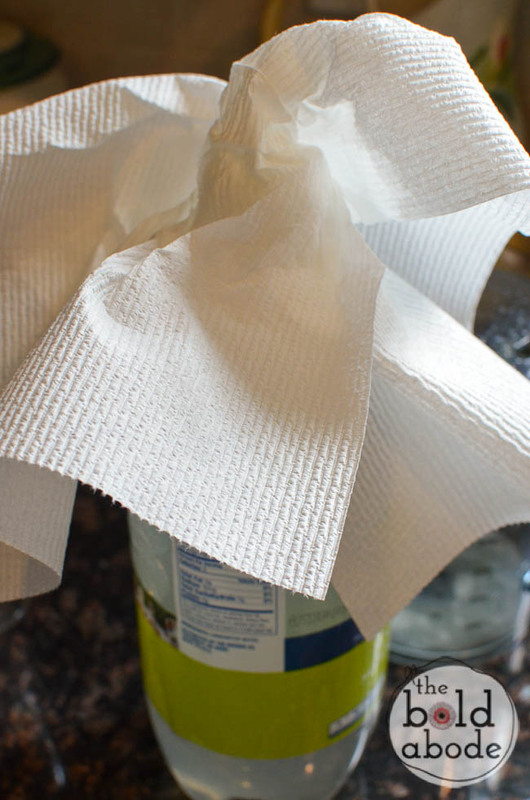 Have a paper towel handy and VERY SLOWLY open the cap just a little at a time…. if you forget, be prepared to get sprayed! Taste test the Limeade. Not lime-y enough? Add more lime juice. Keep going until you are happy with the balance of sweet and citrus. This refreshing, 100% Natural Limeade is waaaayyyy better than serving brown chemical-laden liquids to your family! 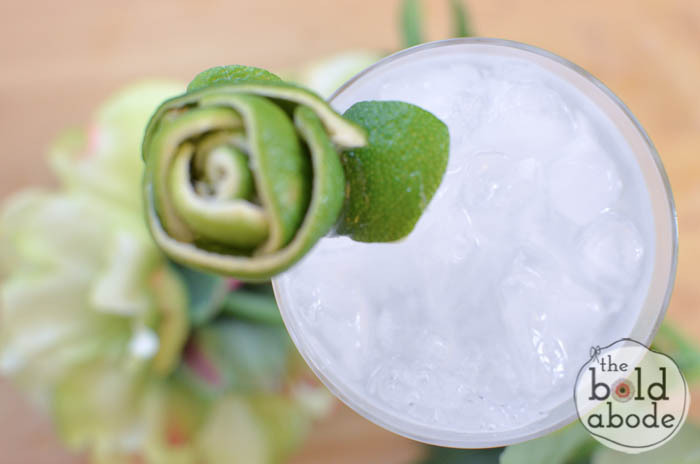 You are speaking my language – I am hooked on lime anything right now and this sounds absolutley delicious! Lime is so good! Thanks, Keri!!! You’re making my mouth water! Pinning! Thank you! I love this stuff!!! I prefer lemon to lime but will drink both. I usually just squeeze juice of lemon into my plain or sparkling water. Because of the poor crop of these fruits I cannot afford to buy as many as I want. I finished the last of my lemons earlier today and now must use either bottled lemon juice or fresh limes. Hopefully will find affordable lemons at the market tomorrow. Lemons are great, too! I hope you found some good ones!